Welcome Broncos to the start of the new school year. We hope you had a great summer and are ready to dive into ITE. Cal Poly Pomona student chapter will be having our first meeting on Thursday, Oct. 2nd. There will be free food and tons of information about who we are, what we offer, and a competition. We look forward to seeing you there at building 17 room 2646 between 12-1 PM. 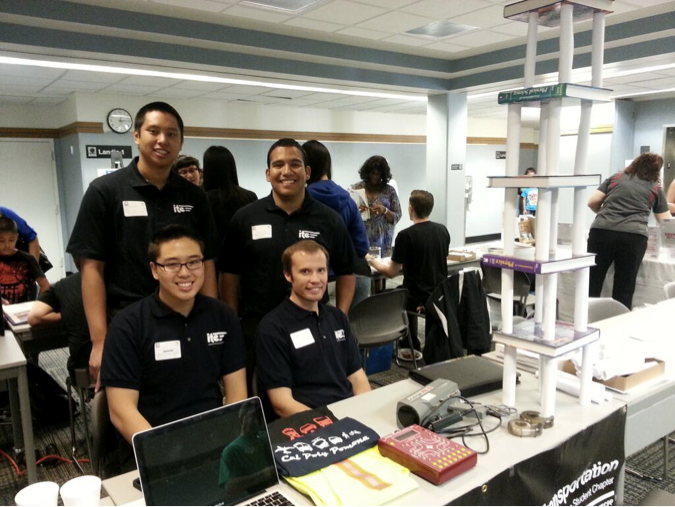 ITE Cal Poly Pomona held its 5th General Meeting on Thursday, January 9, 2014. The guest speakers for the meeting were three recent graduates from Cal Poly Pomona: Daniel David, Jr., Jesse Morton, and Said Yahya. You can learn more about each speaker at: https://itecpp.wordpress.com/2014/01/07/winter-quarter-kick-off-meeting/. Each speaker talked about their experience in Transportation Engineering during and after their undergraduate studies. 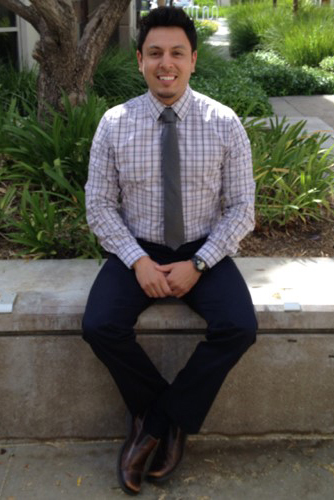 Daniel, who is an Civil Associate for RBF Consulting, lectured about his time as an intern for Riverside County Transportation and RBF, as well as some of the current projects he is working on, such as an interchange improvement of I-10/Jefferson in Indio, CA. Jesse, a Cost Engineer at Parsons, presented on improving the SR-91 corridor, in which he is responsible for budgeting, charting and tracking, invoicing, and reporting. Said, an Associate Engineer at Parsons, informed the audience about his contribution to the 71/91 Interchange Project. Each speaker concluded by giving advice to students, encouraging them to never stop learning, listen and learn from others, and be patient. T-shirt designs have been voted, and will be delivered to members at the next meeting. ITE and ASCE will hold a joint Technical Tour to the Metro Gold Line – M&O Facility on January 17th. Registration is sold out. Cal Poly Pomona will be holding this year’s UCTC Conference. More information coming soon. See you at our next meeting on Thursday, January 23! 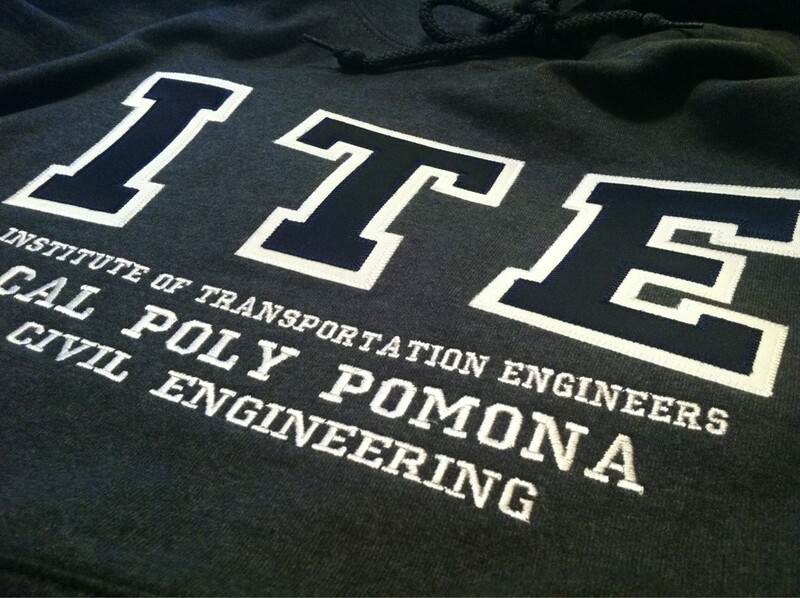 ITE’s third meeting is this Thursday, Oct 31st during U-hour (12-1PM), in the Transpo Lab (17-2646). We will be hosting Vanessa Muñoz as our guest speaker. She will be presenting on the City of Rolling Hills Estates – Palos Verdes Drive North Bike Lane Project. Free lunch will be provided on a first-come first-serve basis. Don’t miss out on this opportunity! Ms. Vanessa Muñoz is a Deputy Director of Engineering at Willdan with 15 years of experience in transportation planning and traffic engineering. Her area of expertise includes traffic impact studies, engineering and traffic surveys, design and operations, municipal engineering, and operational analyses. She has designed over 300 signalized intersections for client cities, outside agencies, and Caltrans. Ms. Muñoz is an accomplished engineer for multi-discipline and multi-agency traffic and transportation projects and has supervised the completion of more than 1,000 projects, for a variety of large- to small-scale projects. She understands the importance of meeting schedules and developing the most cost-efficient project in order to meet budgetary constraints. She is responsible for analysis, coordination, and preparation of plans, specifications, and estimates for traffic signals, signing, striping, traffic control, flashing beacons, street lighting, interconnect, parking lots, street widening and resurfacing projects. The Accelerate >> Los Angeles event hosted by the LA chapter of Young Professionals in Transportation (YPT) was a great opportunity to hear about big data and engaging the public. There was an overall agreement between all of the panelists that the transportation planning and engineering fields are venturing through some new territory with the immense amount of data now available as well as now having access to data that was previously too difficult to gather. Panelists for big data described some of the general trends in industry. Rob Hranac, VP at Iteris, spoke about how data is being used from an operational perspective. Fascinating to see how we now have the capability to “see” individual vehicles as they travel along a road. You can determine not only the traditional speed and get a count but can also determine the size of vehicle, and it is all live! Ron Milam, Principal at Fehr & Peers, spoke on big data from the perspective of transportation planning. It’s amazing just how quickly a massive set of data can be attained and used to develop an accurate travel model. The models are now even more reliable; using mobile devices as data points, now we can know all of the actual origin-destination points without heavily relying on estimations or regressions. The panelists discussed how there is a shift in the industry from expanding the transportation network to focusing more on managing the networks, and as Rob said, hopefully leading to efficiency and optimization. Another shift is going from measuring infrastructure to measuring travel experience. Instead of focusing solely on the average speed of drivers on a roadway, we now want to measure what that travel experience is like holistically. However, the data for active transportation, such as cycling and walking, still has some catching up to do. Especially since this is where privacy concerns tend to be, as your data is identifying a specific person, and no longer just a vehicle. The discussion ended with an agreement that bigger data doesn’t necessarily mean better data. October SoCal ITE and RSBITE Meetings! It’s time to go to our professional meetings again! Here’s the information so you can get to know professionals and network! We hope you take up this amazing opportunity and we hope to see you there! ITECPP members who attends will be reimbursed with proof of attendance by ITECPP! !